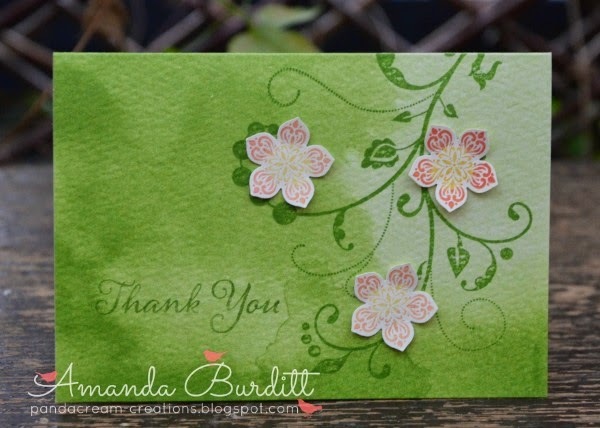 Here's another of those fabulous little watercolor notecards. 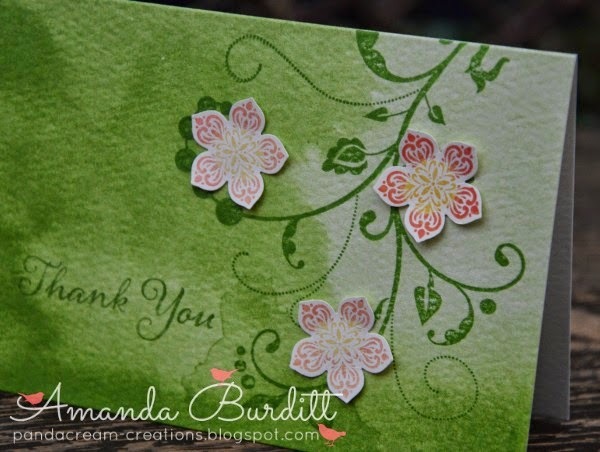 This card was so simple to make with the flowering flourish and the thank you. The watercolour background is just so special, don't'cha think? The wow factor here is the flowers. I used the rock and roll technique. If you haven't tried it before, you must give it a go! Ink the stamp with the lighter shade of ink and then rock and roll the edges in a darker colour. I got more colour variation out of these two colours by also using the stamping off technique for a couple lighter coloured blossoms. If you wanted you could also add candy dots or pearls to these but I thought I'd keep it really nice and simple. I think it works without. Come back tomorrow for a My Digital Monday!